Prof. Robert Burns: I have to go to the bathroom. When he finds that his Chinese artefacts are really being used to smuggle drugs across the world, archaeologist Professor Robert Burns (no, really) makes a break for the border. His colleague dies in the ensuing chase but he makes it to safety, only to framed and arrested for the very crime of drug running. The American DEA get him released and he goes back home to his wife. However the criminals who framed him, come back after him and, when they miss him, kill his wife instead. Of course what they didn't know was that the mild mannered and slightly portly Professor was once one the world's greatest thieves and a martial arts expert to boot and, when he is struck, he strikes back. Early on in this film, Professor Burns notes that pilot "Crash" Kupper used to fill proper airplanes and that his current job of flying rubbish little passenger planes shows that his career has really taken a turn for the worse. About 90 minutes later I couldn't help wonder how many takes they had to do of that scene before they were able to get Seagal to deliver the line without the irony bringing tears to his eyes (although his "highs" were never really that high were they?) because even by his standards "Out for a Kill" is a poor film, whose unimaginative title only hints at the dreariness to come. All the clichés are present  a hero who "used to be a top etc", a shady mastermind etc etc. None of it really engaged me and the globe-trotting nature of it just didn't work at all. Usually the action makes up for all the rubbish but here it was also pretty poor; the direction of them are unimpressive and attempts at something fancy in the barber shop were really just ridiculous. The cast can do nothing to stop the rot, in fact they are a big part of the problem. In every scene Seagal looks like someone has just woken him up and that he just wants to get this all over and done with. He mumbles his way through it, only doing well with a bit of the action here and there. Goh is equally as bad and her narration is just plain awful in terms of dialogue and delivery. Johnson doesn't have much to do and just hangs around till someone decides he isn't needed any more. 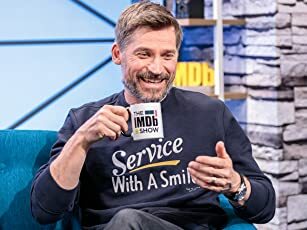 The support cast are made up of Asian actors who fill space on the screen and a baddie who we know is a baddie because he spends all his time in a big room, smoking  they must have shot all his scenes in about a week. 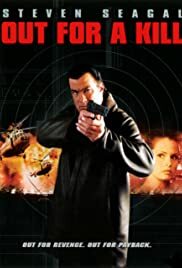 Overall this is a poor film and even fans of Seagal will struggle to find any value in this one. The direction is messy and derivative while the actual story could only aspire to those standards. The cast clearly are not up for it one bit and Seagal looks like a man carrying a crushed spirit as he repetitively goes through the motions with a lot of mumbling and a dead look in his eyes.